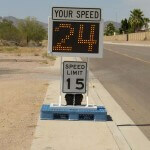 The RU2 Fast 550 Pallet Mount Radar Speed Sign features 18″ tall characters to command the attention of oncoming drivers. 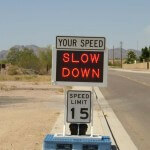 Capable of displaying speeds from 1 to 99 MPH (or KPH) these speed signs are appropriate for all types of motorized traffic. Optional features include several violator alert systems, extended battery capacity and custom signage. 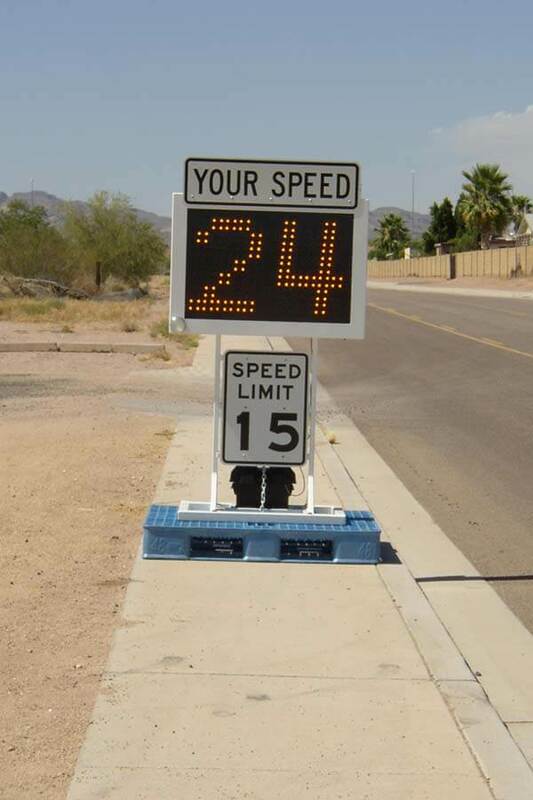 Also available is our RU2 Systems Data Acquisition Package that records the time, date and speed on oncoming vehicles without the use of cumbersome pneumatic tubes placed across the street. The traffic data collection system can also function in “stealth” mode. 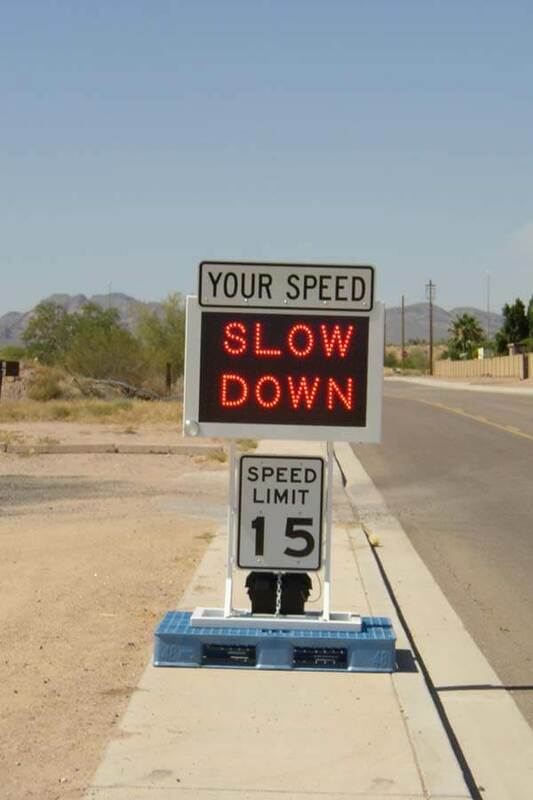 No speeds are displayed, so it appears the speed radar sign is off so normal traffic patterns can be recorded.